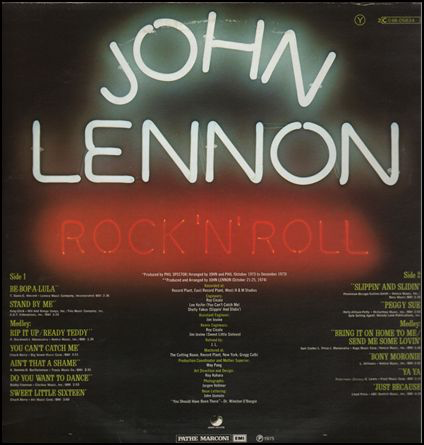 Recorded as part of a legal agreement resulting from the "here come old flat top" line in The Beatles' "Come Together", John Lennon revisits his old rock 'n' roll favourites. Produced by Phil Spector, it does not have the muffled, muddy production that "Some Time In New York City" or George Harrison's "All Things Must Pass", although the 2012 remaster is far more trebly and tinny than its 2002 predecessor, which is far warmer and bassier, which suits my taste. I have always found it a totally enjoyable album to listen to. 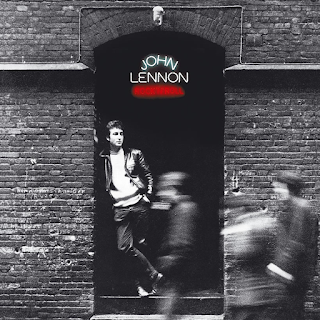 Whatever the circumstances of its conception or the stresses of the recording process, (apparently they were chaotic and, at times, fractious) Lennon sounds as if he was having a good time. That can only be a good thing. He could sing rock 'n' roll with his eyes shut, but, to me, he sounds rapturous on some of these recordings. You certainly can't tell if he was in a bad mood. This upbeat feel has always made me wonder why the album was so badly received at the time. In retrospect, in later years, it has received some better assessments. The highlights are plenty. 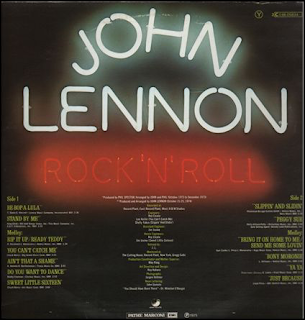 I like all of it, basically, and it is well played by Lennon's faithful band, but "Be-Bop-A-Lula", "Stand By Me", the Chuck Berry song "You Can't Catch Me" that contained the "flat top" line, the fun "Slippin' And Slidin'" and the bluesy, slow grind of "Bony Moronie" are favourites of mine. The "medley" songs - "Rip It Up"/"Ready Teddy" and "Bring It On Home To Me"/"Send Me Some Lovin'" are excellent, effervescent and rocking too. The mega slowed-down "Do You Wanna Dance" doesn't quite work, for me, although "Sweet Little Sixteen" comes off as a slow saxophone-driven groove. Buddy Holly's "Peggy Sue" is played pretty straight. Lennon undoubtedly sounds more upbeat on here than he had on any of his previous solo albums, particularly the earlier ones. I never fail to enjoy this album.